Historically, or mythically, or rather according to the beliefs, Easter is a celebration of the resurrection of Jesus. However, now Easter has become all about celebrations through painting eggs, bunny shaped treats, chocolates, get together and family time. While you spend joyous time with your family, let us take care of giving something special to your furry companions this Easter! If you have ever ordered with us then you may have got the gist of Budget Pet World’s forte, which are affordable rates, reliable products and discounts. Yes, we do consider discount as our forte because we never miss on offering usual, seasonal or festive discounts from time to time. And, this is time to offer a festive discount for USA’s one of the most favorite holidays, Easter! Bunny out of the hat at Budget Pet World! Budget Pet World is offering a whooping discount of 15% on all the products available on our online store. Easter sale may be the ideal chance for you to stock on your pet’s spring pet supplies. 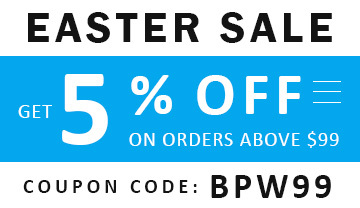 15% off on your order applied on our discounted rates along with free shipping may increase your savings. Our racks are hugely stocked with different pet care products. The most popular categories at Budget Pet World are flea and tick, heartwormers, wormers, and supplements for canines and felines. However we also offer peerless products for other pet health issues related to eye and ear, joints, teeth, wounds, etc. Order popular treatments such as Frontline Plus, Bravecto, Heartgard plus, Advocate, Milbemax and keep your furry companions safe from nasty parasites and diseases this spring season. To conclude, our team is striving to provide you the best customer experience. We want this discount offer to reach as many people as it can. So, share if you care about your other pet friends! 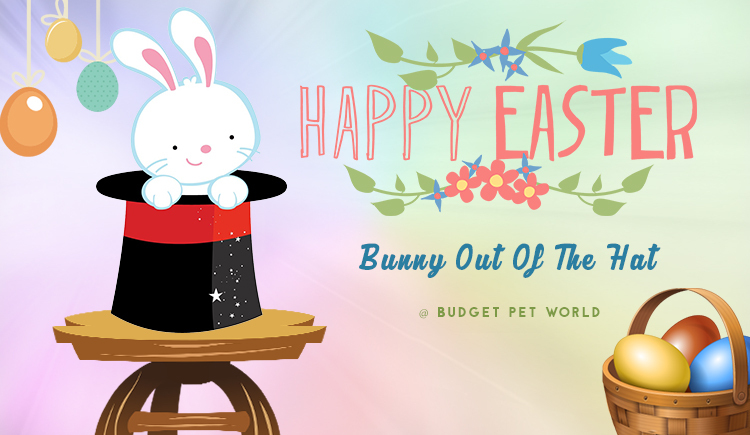 Budget Pet World wishes you all a happy and safe Easter!